We have started work on a project to clean up and regenerate sites for new academy buildings for two schools in Cheetham Hill, Manchester. The £45 million programme, which is sponsored by the Department for Education, was established to address the needs of schools urgently requiring repair and to improve the overall standard of school buildings in the UK by creating environments which are conducive to learning. Working in partnership with Wates Group, leading education provider and Principal Contractor on the project, our team of environmental engineers has been tasked to undertake a geotechnical and environmental assessment of the land and provide a remedial strategy to create a safe space upon which to build the new schools. The application for the proposed development includes re-profiling of the site and remedial ground engineering works to allow construction of school buildings and associated infrastructure with access roads, parking and playing fields for new girls and boys schools for the Star Academy Trust. Historically, from mid-19th century to the post-war the site was subject to clay extraction for brickmaking. Following this, the site and surrounding area was used for the disposal of construction and municipal waste, as well as housing railway lines and dye works. 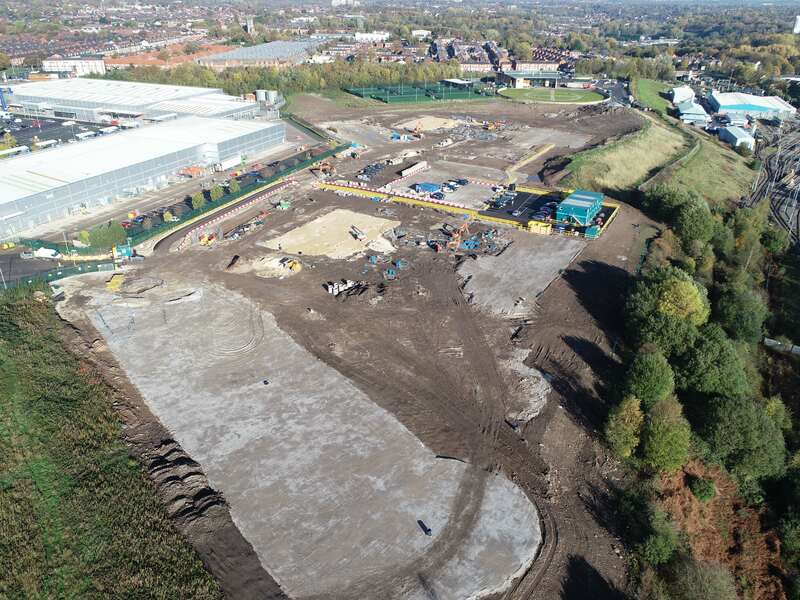 To ensure the site is developed to be fit for purpose as a school and community hub, the meticulous remediation works will be based upon the findings and recommendations of IDOM’s environmental report, which will highlight any ground engineering issues and risks posed by the land. Reporting will include the validation procedures and techniques to be employed to ensure that the remedial works are effective. It will also set out the required acceptance criteria for site-derived soils and imported soils and identify soil resources and suitable future uses within the proposed development. The research will also detail environmental controls to be implemented during the works to manage contamination issues and safeguard the wellbeing of the construction team and local residents. “Landfill sites pose some of the most challenging issues for environmental engineering, so it is heartening to know that the effective remediation and regeneration of this land can fulfill the need for more community living space and in this case space for young people to learn. From a technical perspective, there are several phases and complex investigations which require completion before a single brick is laid. The remediation of the site will include cleaning of the soils and ground extraction of metals, gas and any asbestos. The site will be stripped of vegetation and invasive weeds. Any contaminated ground water will be treated and there will be bulk excavation of the site and materials processing, including the segregation of geotechnically unsuitable materials. A system will be designed to break pollutant linkage pathways between landfill materials and the bedrock aquifer. Additionally, an active system to prevent ground gas accumulation beneath building footprints will be installed, and a programme of post-installation performance testing will be put in place. For the all-weather surfaced pitches and playing fields a formation layer shall be underlain by a geotextile marker to prevent contact with made ground during future maintenance, and to allow suitable drainage.